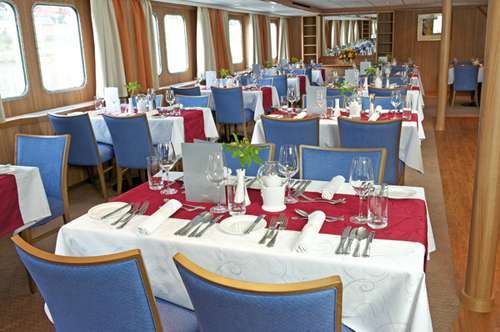 Viking Schumann and Viking Fontane are small, intimate river cruise vessels with an unusually shallow 80 cm draft, meaning the bottom of the ship is very flat, and has pump jets that minimize the impact of potentially low water levels. These vessels are perfect for the Elbe River, which is very shallow. 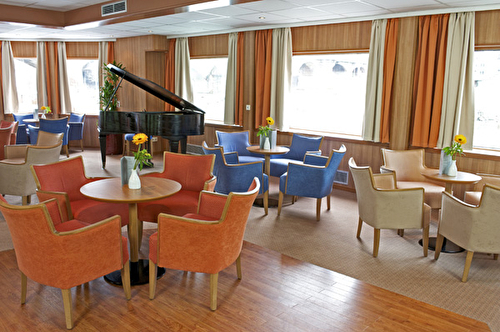 The intimate cruise ships carry just 112 passengers. 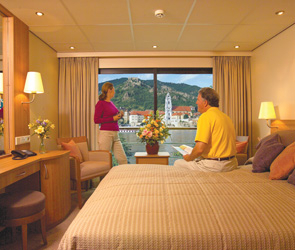 Stateroom size: 200 sq. ft. Hotel-style beds 79 inches x 63 inches (with optional twin-bed configuration). French balconies (floor-to-ceiling sliding glass doors). Private bathroom with shower and premium bath products. Bathrobe and slippers available upon request. Telephone, refrigerator, safe, hair dryer & bottled water replenished daily. Individual climate control. Space under bed for storing suitcases. Roomy wardrobe with wooden hangers. 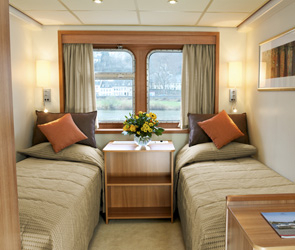 Voltage: 220V and 115V in stateroom. TV with premium entertainment package including: CNBC, CNN, Fox News, ESPN, National Geographic, MGM Movies, Sky Cinema and “View From the Bridge”. Two standard-size single bed. Picture window (cannot be opened). Private bathroom with shower and premium bath products. Bathrobe and slippers available upon request. Telephone, safe, hair dryer & bottled water replenished daily. Individual climate control. Space under beds for storing suitcases. Roomy wardrobe with wooden hangers. Voltage: 220V and 115V in stateroom. TV with premium entertainment package including: CNBC, CNN, Fox News, ESPN, National Geographic, MGM Movies, Sky Cinema, videos on demand and “View From the Bridge”.